Swiss Hibiscus opened its doors in 2010, but the legacy began long before in Wädenswil, Switzerland where Chef Martin Wyss was born. With a desire to travel, he chose cooking as his apprenticeship. He traveled the world, but, in 1964, rooted himself in Honolulu, Hawai’i after accepting a sous chef position with the then, Kahala Hilton Hotel. Chef Wyss retired after 18 years as the Kahala Hilton Hotel’s Executive Chef with the desire to open his own restaurant. In 1982, Chef Wyss, along with his wife Jeanie and sister-in-law Sharon Fujii, opened their restaurant called Swiss Inn. They served Swiss and continental cuisine with much love and warmth, creating a large following of loyal customers for 18 years. Many of the loyal Swiss Inn customers frequent our restaurant, Swiss Hibiscus, when they visit Portland. Thank you! Chef Wyss’ goes-with-everything Swiss Inn salad dressing was such a hit that they continued to produce and distribute it on Oahu, even 13 years after retiring the restaurant. Here in Portland, daughter Jennie Wyss began making the same famous salad dressing in 2008 under the label Martin’s Swiss Dressing (in honor of her father). Increased demand for the dressing required a bigger kitchen space, which ultimately led to the opening of Swiss Hibiscus restaurant on 14th Avenue in the Albert Arts Neighborhood. Since then, the restaurant has served authentic Swiss/European food and features Martin’s famous Swiss Dressing. In 2012, Jennie recruited partner Tammy Hay. 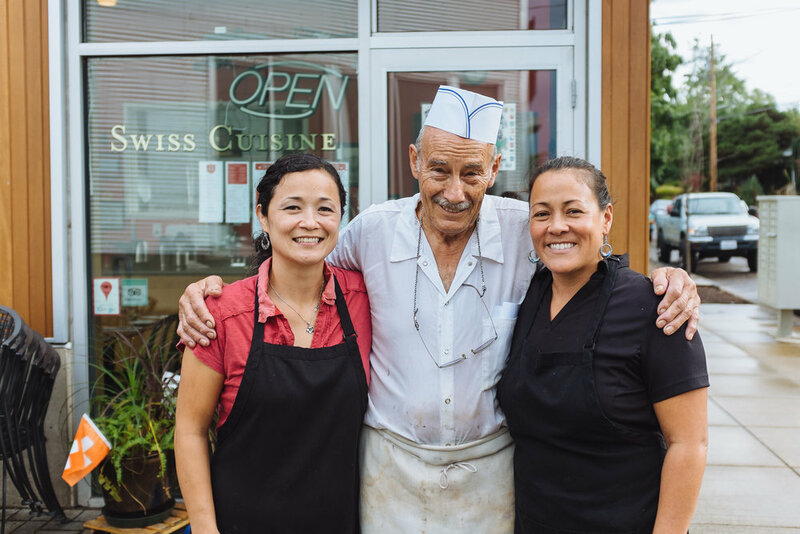 Jennie and Tammy, with expert consultants Chef Martin and Jeanie, strive to continue the traditions and cuisine of Swiss Inn here in PDX. Today, Martin’s Swiss dressing can be ordered online and found in supermarkets throughout Portland. We strive for this with each and every meal, taking great pride in our food, our service, and the community we are building around this restaurant. We want you to come hungry and leave happy. 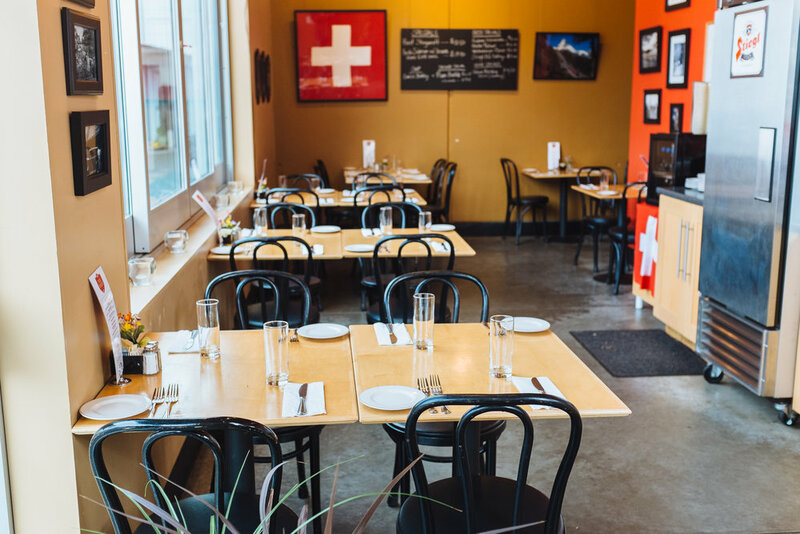 - Ox Chefs' Greg Denton & Gabrielle Quiñónez Denton name Swiss Hibiscus one of their 15, can't miss places to eat in Portland. - Portland Monthly: Where do Chefs Go to Eat on Their Own Time?